“Love story” is one such genre of stories which gives chance to every reader for experiencing the true essence of love in various shades and expressions. For some love is life, for some love is sacrifice and for some it is the inspiration for a better life. 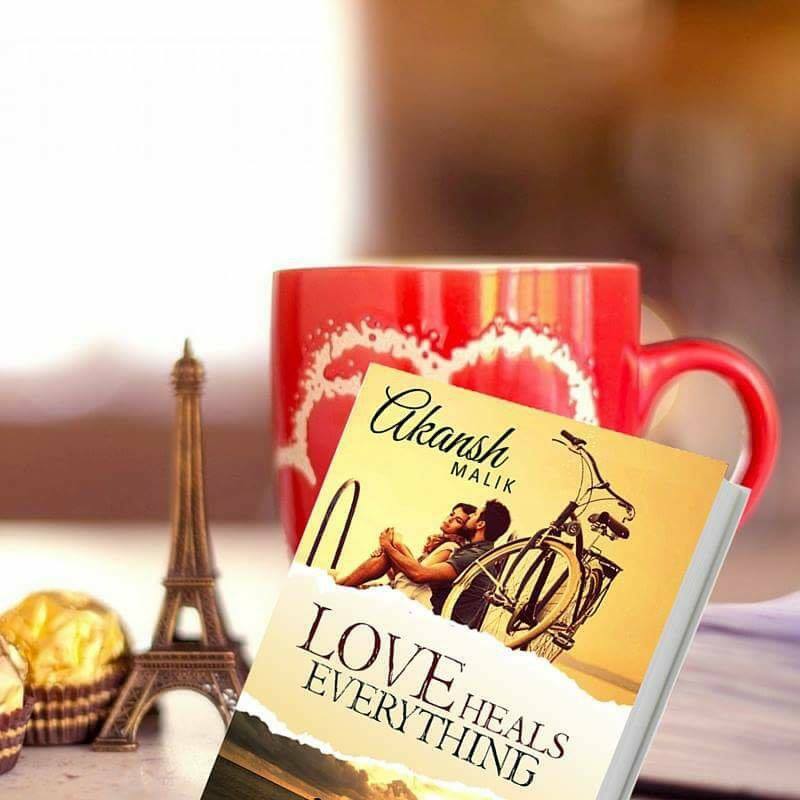 “Love Heals Everything” for me is a story of two inspirational lovers, whose true love for each other even molded the heart of god to make an impossible thing possible for them. Actually it’s the story of healing love. Starting with the cover page. A glance of the cover page will surely give the reflection of a love story. The credit goes to Ajitabha Bose for giving the cover a lively look in line with the story genre. The narrator of the story is the author Akansh Malik himself. It’s the love story of Aarush and Aarohi. If you start reading the story I can assure you will stop only after finishing it. It goes with a flow. The language is simple and reaches straight to heart. No one knows when, where and how one will meet the true love of life. Suddenly Aarush met his love Aarohi who landed in Delhi for internship, being the cousin sister of Aarush’s childhood friend Kanika. Every line of the story seems like real. The craziness in the character of Aarush to get Aarohi in his life, his adamant steps to make his ladylove feel that she is the one who is everything for him, the intention to get dam close to her, Aarohi’s strong faith in god and Aarush anger towards god, their fight, their missing each other, their love, Kanika’s jealousy, pure friendship of Arun, Prachi and Payel, emotion and tension of parents about their child – all seems like a real life story. Why? Because in actual it happens in lives of many of us, who fell in love. Not to ignore the urge to go beyond everything for the sake of love by Aarush- Is one of the key elements which I truly loved in this story. This is the very first novel by Akansh Malik and it’s definitely a good work by a debutant author. His style of writing is nowhere influenced or motivated by any established author of the industry. Its Akansh own style of writing. I am sure that this book will be loved by many and especially by those who believe in true love.